As an eco-nutritionist with a passion for regenerative farming practices, I’m a consultant for the production of nutrient-dense food that enhances, rather than detracts from the environment. I have specialised knowledge in the fields of soil fertility, biological agriculture, dairy health and hazardous substances policy. With qualifications in environmental and soil management, plus a range of experiences in biodynamic, organic, and ethical farming practices, I have a wealth of academic knowledge, combined with hands-on practical experience of running my own farm. My aim is to support New Zealand dairying in moving to the production of dairy products of medicinal quality, resulting in better environmental, animal and human wellbeing. This means revising how we fertilise our soils so that they can grow high brix, diverse, carbon sequestering pastures that fully nourish cows so they can give us high fat soluble vitamin cream with no need for antibiotics or pesticides. My soul is rooted in the soil, having spent my formative years in rural California, where I saw the cherry orchards of Santa Clara morph to the urban sprawl of Silicone Valley. In my late teens I spent a fascinating year on a dairy farm on the Argentine Pampas, where the seeds of my interest in the sector were sown. 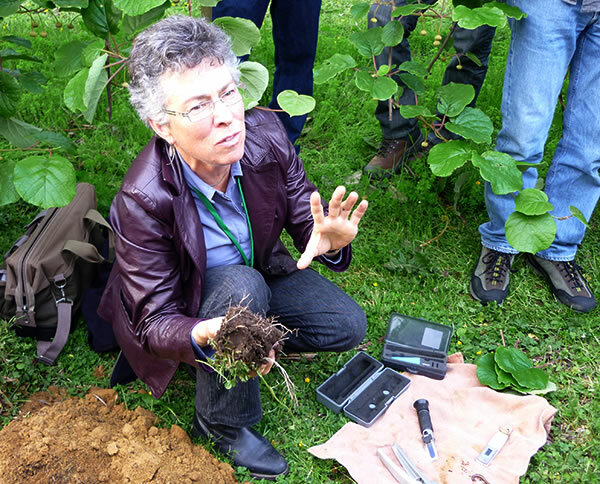 ​Since then I have consulted to both industry and the farming community in the areas of resource management and conservation; the dangers of synthetic fertilisers, pesticides and antibiotics; and approaches to ‘future proofing’ farms. I am a life-long learner and educator, committed to sharing my knowledge with farmers, legislators and influencers. I also practice what I preach, having spent the last decade raising cows on my organically-certified 48 hectare farm outside Havelock North, NZ. My diverse, high-brix pastures nurture my Jersey herd without the need for vaccines, drenches, antibiotics, grains or chemical sprays. I established True Health at the urging of Dr Dettloff, to help the NZ dairy industry wean itself off its reliance on antibiotics. I provide highly regarded, imported, organically-certified tinctures, essential oils and aloe vera products to support the health of dairy cows. 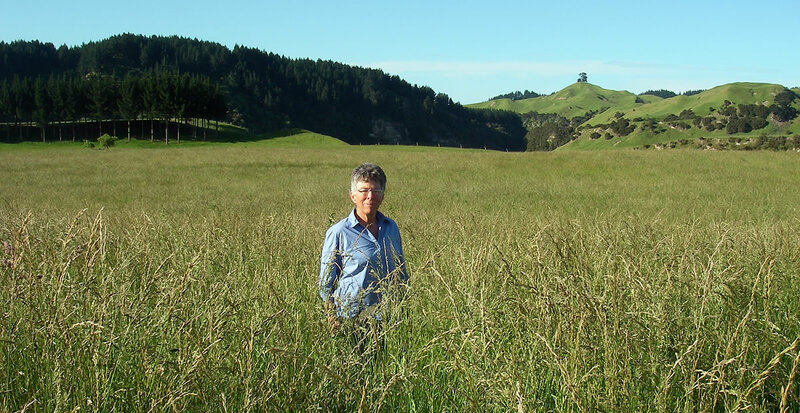 True Health animal remedies are part of the bigger picture of helping NZ agriculture to establish microbially robust soils growing premium, diverse pastures that reverse climate change. Ruminants grown on these grasses will be capable of producing medicinal, organic milk high in fat soluble Vitamins A, D and K2... milk that truly nourishes both people and the planet. 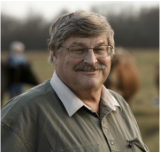 Dr Paul Dettloff is a holistic dairy vet with over 40 years of experience. He is the consulting vet for the 1400 dairy farms in the Organic Valley milk cooperative. honour, with loving care, the animals that generously provide us with quality food. Dr Dettloff travels extensively in the United States, visiting dairies, educating farmers and advocating a return to natural methods of animal treatment. He is skilled in a wide range of treatment modalities and has developed various plant based tinctures and essential oil blends that harness and amplify the healing properties of plant biochemicals = they really work! I have been involved in the Animal Health Industry all my life. I was raised on a Waikato dairy farm and worked for MAF 13 years helping to eradicate diseases like TB and Brucellosis, as well as protecting farms from Foot and Mouth Disease and Scrapie. Then I sold hormones, vaccines, antibiotics and insecticides to the Veterinary Profession for 25 years. I became uncomfortable with that model of continuous animal ill health and recently began selling feed supplements and calf meal to Waikato dairy farmers. I heard about True Health animal remedies and was keen to be involved with getting these plant based remedies out to farmers.